This is Perry’s maiden ICC award since becoming the youngest Australian ever to play international cricket when she debuted in 2007. Australia’s Ellyse Perry has won the inaugural Rachael Heyhoe Flint Award for the ICC Women’s Cricketer of the Year, the International Cricket Council announced today. The award has been introduced in memory of Heyhoe Flint*, one of cricket’s legendary figures, a World Cup winner and ICC Cricket Hall of Famer, who passed in January 2017 at the age of 77. Perry, the 27-year-old all-rounder from Sydney, scored an undefeated 213 and took three wickets in the one-off Ashes Test in Sydney and, accumulated 905 runs and took 22 wickets in 19 ODIs in the voting period**. She also scored 28 runs and bagged four wickets in four Twenty20 Internationals. 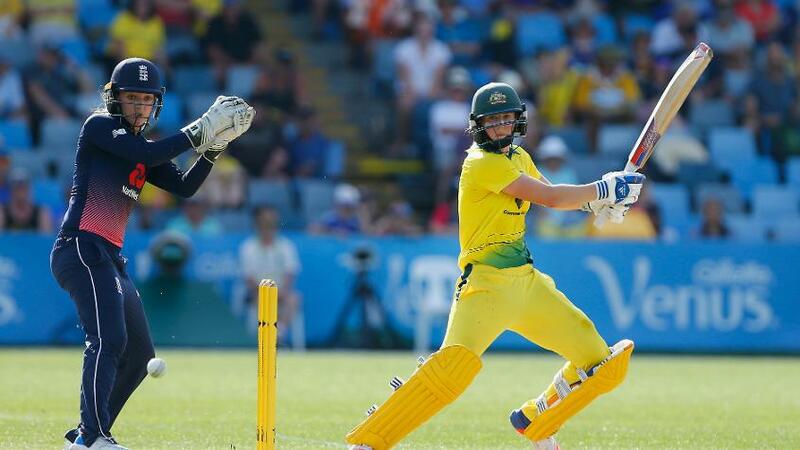 Perry was an integral member of the Australia side which clinched the inaugural ICC Women’s Championship in November 2016 and also helped her side to reach the semi-finals of the ICC Women’s World Cup 2017 in England earlier this year. Perry was voted by the voting academy***, which included respected members of the media and broadcasters. New Zealand’s Amy Satterthwaite and Harmanpreet Kaur of India finished second and third, respectively. This is Perry’s maiden ICC award since becoming the youngest Australian ever to play international cricket when she debuted in 2007 before her 17th birthday despite never having played a domestic match at the senior level. She has now joined a select group of Australia women’s cricketers to have won the annual ICC awards. Karen Rolton and Shelley Nitschke won the ICC Women’s Cricketer of the Year award in 2006 and 2010, respectively, while Meg Lanning won the ICC Women’s ODI Cricketer of the Year award in 2015. In 2014, Lanning had also won the ICC Women’s T20I Player of the Year award. Reacting to the news, a delighted Perry said: “2017 has been a very special year for women’s cricket with many milestones reached, so it is a privilege and honour to receive the Rachael Heyhoe Flint Award. I’d like to acknowledge the incredible work and legacy Rachael has left behind for the game, she is certainly missed. “A special thanks to Cricket Australia for the incredible amount of support they provide to the Australian Women’s Cricket Team and the way in which they continue to lead the development of women’s sport in Australia. ICC Chief Executive David Richardson congratulated Perry, saying: “On behalf of the ICC, I want to congratulate Ellyse for winning the inaugural Rachael Heyhoe Flint Award for the ICC Cricketer of the Year. This recognises the outstanding player of the year in memory of one of the true legends of the game. Rachael’s contribution to the game goes beyond the cricket field as she not only led her team to victory at the inaugural Women’s World Cup in 1973 but also played a big part in helping organise it. Meanwhile, New Zealand’s Amy Satterthwaite has clinched the ICC Women’s ODI Player of the Year Award, while Perry’s team-mate Beth Mooney has won the ICC Women’s T20I Player of the Year and ICC Women’s Emerging Player of the Year awards. Satterthwaite is the second New Zealand player after Suzie Bates to have won an ICC award. Bates was declared the ICC Women’s Cricketer of the Year in 2013, while in 2015, she became the first player to win both the ICC Women’s ODI Cricketer of the Year and ICC T20I Cricketer of the Year awards in the same year. 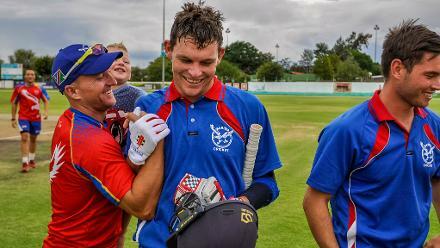 In the voting period, Satterthwaite scored 1,183 runs in 24 ODIs at an average of 84.5 with four centuries and five half-centuries, and also took 20 wickets. She beat the challenge from Perry and Alex Hartley of England, who finished second and third, respectively. Commenting on the announcement, the 31-year-old from Christchurch said: “It is a great honour to be named as ICC Women’s ODI Player of the Year. It is a pretty special moment and I guess, probably one of the moments to look back and reflect on the year and what it has been. Mooney was the leading T20I scorer with 255 runs at a strike-rate of 138.5 in seven matches in the voting period, while she also scored 492 runs in 14 ODIs. In the one-off Ashes Test, she scored 27. The qualification criteria for the ICC Emerging Player of the Year was that the player had to be under the age of 26 and not have played more than six ODIs and 10 T20Is prior to the performance period. Prior to Mooney, Sarah Taylor (2012 and 2013), Lanning (2014), Stafanie Taylor (2015) and Suzie Bates (2016) have won the ICC T20I Player of the Year award, while the ICC Emerging Player of the Year has been introduced from this year in line with the ICC’s commitment to enhancing the importance and significance of women’s cricket as well as to recognise the best performing young talent. The Windies’ pair of Deandra Dottin and Stafanie Taylor finished second and third, respectively, in the T20I Player of the Year category. The 23-year-old, commenting on the announcement, said: “This is very unexpected and I’m honoured to receive the ICC T20I and Emerging Player of the Year awards. I play cricket to contribute to the team's success and not for personal accolades, but equally it is nice to be rewarded for all the work of the years. “Twenty20 cricket has been adopted enthusiastically around the world and has proven to be a fantastic format for women and girls. The Rebel Women’s Big Bash League has been highly successful for Cricket Australia and personally, I benefitted from the exposure and opportunity as a player with the Brisbane Heat. The men’s individual award winners**** for 2017 as well as the teams of the year will be announced in January 2018, and performances from 21 September 2016 to 31 December 2017 will be taken into consideration.